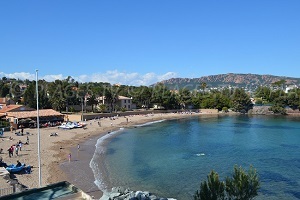 Peno Beach in Carqueiranne is the largest beach in this small seaside resort near Hyères. 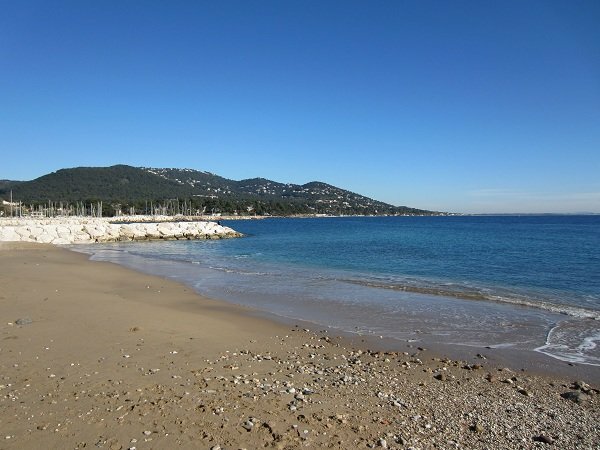 It is located on the right from the fishing port of Salettes, and three sand and gravel coves are available and separated by artificial embankments open on the Gulf of Carqueiranne. 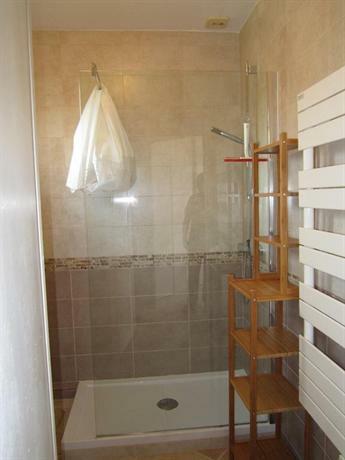 It is bordered by a pleasant walk, which links the harbour to nearby Pradon Beach. Trees provide shade in summer and they are monitored in summer. 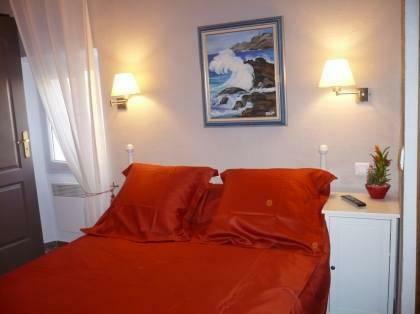 There is also a beach restaurant with mattress rentals. There is a sailing school at the end of the beach. 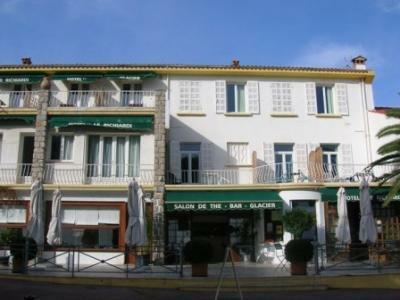 There are also restaurants and cafes above the port a hundred meters from the beach. 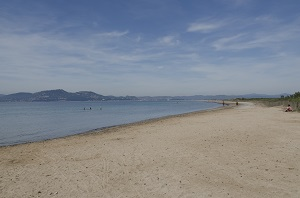 To access the beach from the city center, go to the port. 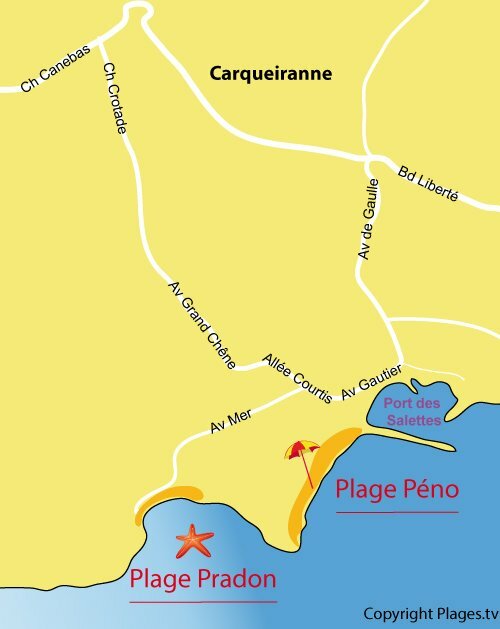 Peno Beach is indicated and there is a car park next to the harbour (it is difficult to park in summer). 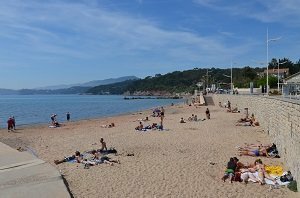 There is fine sand and gravel on Carqueiranne Beach, depending on the areas. 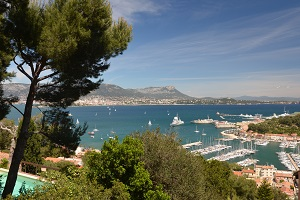 One can see the peninsula of Giens and Almanarre Beach in the distance on the right. 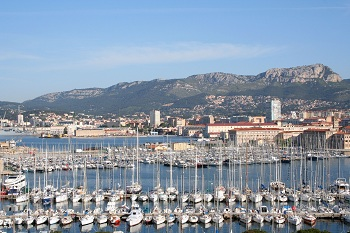 The port of Salettes is in the background. 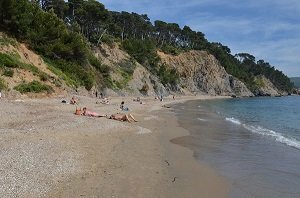 The first cove is covered in a mixture of sand and gravel, depending on the areas. 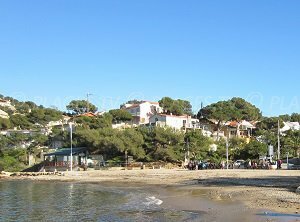 There is tamaris along the promenade. 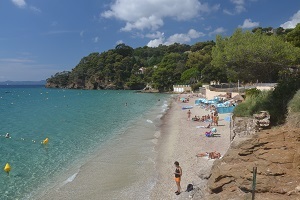 Peno Beach is in the foreground, a car park behind the seawall and the port of Carqueiranne on the right. This area is monitored in summer and on weekends. 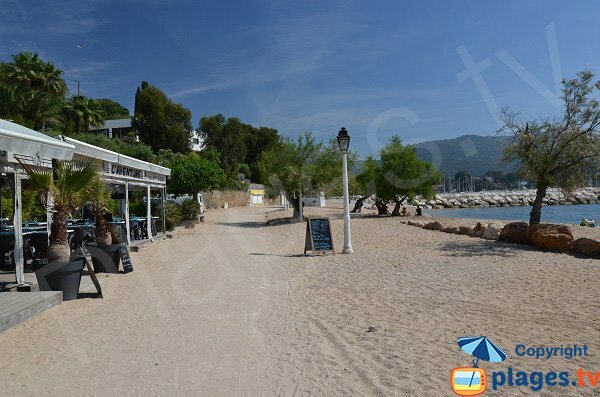 There is a pleasant pedestrian promenade with a restaurant on the beachfront. 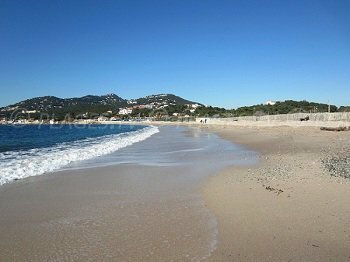 One can walk to nearby Pradon Beach. A well-placed restaurant, perfect for lunch ... the view is superb. 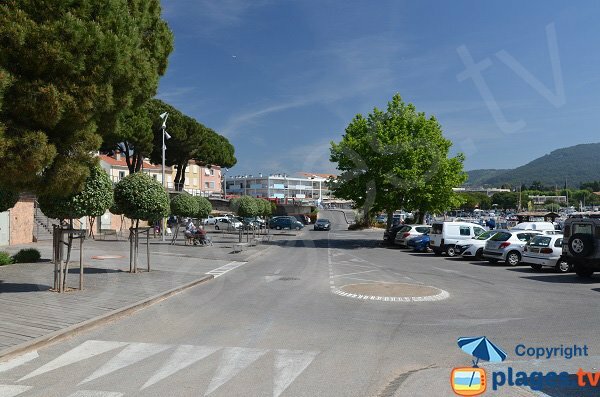 There is a car park at the entrance to the beach (around the port, limited space).